Words cannot express how happy I am to watch my readership grow! This is such a wonderful feeling having your support after lots of hours and heart poured into this blog. One year and a couple months ago, I was beyond stressed out. I felt like I was drowning between just being a mom, financial strains, the health of those around me while ignoring my own health, and various other situations. Between 2015-2016 I mostly just felt like the old me was completely gone. Being Christian, I was able to be completely vulnerable in prayer and lay it all out there. It was then that blogging came to mind. I know this idea was completely spiritual because at the time it didn’t even sound logical to start. My life started to change. Instead of feeling like life was dragging me down, I started to brainstorm and learn. And I started to write again for the first time in a long time. It felt so good. And it felt even better to have support. There was a time when I wondered who I was reaching with my posts, wondering if I was making an impact in the world. Now I know when I get feedback from friends and family. The times people are talking about it with each other. Every time one of you likes or comments. The days that the blog got hundreds of views. The day I realized my Pinterest pin got over 100 views. Or when extremely influential women (like Instagram celebrities) are contacting me or know who I am. I feel heard. I feel like I am impacting people. And it feels so good! Now nearing the end of 2018, I have started to daydream again. From my posts you know that photography is a huge part of me. But I also love to write and I love art too. So I’m working on that dream. I won’t tell you what it is until I see it near it’s end. It may take a year or less if I’m lucky. And I may drop you a few hints along the way. As far as Momma Bird, I’ve covered many parenting topics. But I’d like to focus on your favorite topics. I will focus on posting once a week, because you know, kids. (Mostly kids who don’t nap and never sit still). Lol. 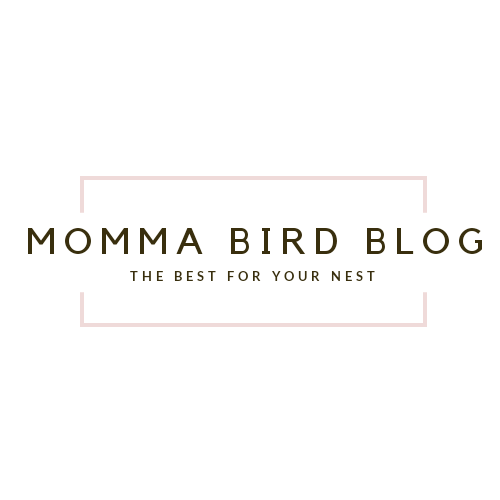 Please comment below with your favorite Momma Bird Blog post or topic. How did you find out about me? What questions do you have for me? Do you like more personal stories and pictures? Tell me what you want. I’m all ears! And seriously you guys and gals, I cannot thank you enough for your love!! P.s. Don’t forget to follow me on Instagram, Twitter, and Facebook!! I just started following. 🙂 I’ll have to get back to you!